Unless you've been living in a book-free cave, you may have heard that retail giant Amazon and book publisher Hachette are having a little tiff. It's all about digital versions of books -- so-called e-books -- and it boils down to this: Amazon wants to sell most of them for $10, and Hachette wants to set its own prices depending on the title and author. In the latest volley, Amazon tightened the screws by listing many Hachette pre-orders for printed titles as unavailable and pulling some product promotion pages. In a blog post, Amazon claimed it was trying to do well by consumers and (confusingly) invoked George Orwell. Meanwhile, 900-plus authors -- including household names like Stephen King and J.K. Rowling -- said they were innocent victims and took out a $104,000 ad decrying Amazon's hardball tactics. The dispute shows no sign of abating. So, who's right and, more importantly, who will win? Amazon and Hachette's fight erupted when negotiations broke down, but how did it go so wrong? Amazon is far and away the largest e-book retailer, with Kindle e-reader sales of around $4 billion last year, and e-book earnings estimated between $265 million and $530 million. While that might not sound like a lot for a $74 billion company, Amazon has nurtured e-books over time and makes large margins on them (unlike other goods it sells, often at a loss). Hachette, meanwhile, isn't exactly David to Amazon's Goliath: French parent company, Lagardère, raked in 7.2 billion euros ($9.5 billion) last year. Once Amazon got big enough to dictate terms, it declared $9.99 to be the de facto price for e-books. Simon & Schuster, Penguin, Hachette and other publishers wanted to set their own prices, but had no leverage against Amazon's dominance. To change that, they struck a deal with Apple to create the "agency" model, which let them set retail prices while giving Apple and other retailers a fixed, 30 percent cut. Amazon was forced to take those terms, but soon after that, the US Department of Justice (DOJ) found out about the deal and decided to charge Apple and the publishers with collusion. A judge eventually ruled that Cupertino and the publishers conspired to raise prices -- a cardinal sin in the US. 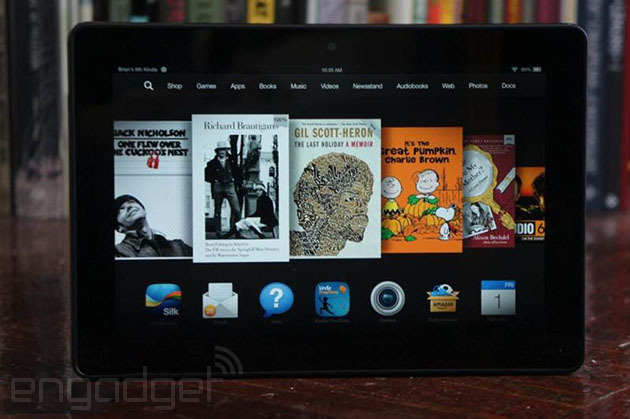 The court forced publishers to tear up all the agency e-book agreements and renegotiate terms with Amazon. Once those negotiations started, Hachette and Amazon quickly found themselves at loggerheads. 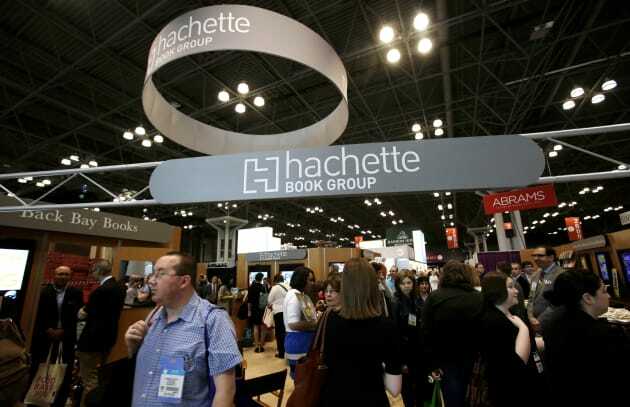 Hachette wants to set wholesale prices at about 70 percent of retail and, out of that, pay authors whatever cut they can negotiate -- usually about 10 percent. That leaves 30 percent or less to Amazon, depending on discounts. It'd be a pretty rich deal for the publisher, which takes less profit on printed volumes. Amazon, on the other hand, is willing to keep its e-book margins at 30 percent but is adamant that the price for most books be the pre-agency rate of $9.99 or less, with certain titles higher. That's 30 to 50 percent lower than what they are now, depending on the title. It also proposed that publishers split the 70 percent balance with authors, rather than taking so much of it. When Hachette wouldn't budge, Amazon curtailed sales of its 5,000 titles by halting pre-orders, delaying shipments (despite plentiful supply), eliminating discounts and removing some promotional pages entirely. Hachette said it wouldn't back down either, adding that "Amazon ... considers books to be like any other consumer good. They are not." Without taking sides, the 900 members of Authors United (many not published by Hachette) decried Amazon's order-stalling tactics, saying they're being used as pawns. Amazon -- which also has a publishing arm -- trotted out its own scribes, along with the "me-too" Readers United group. 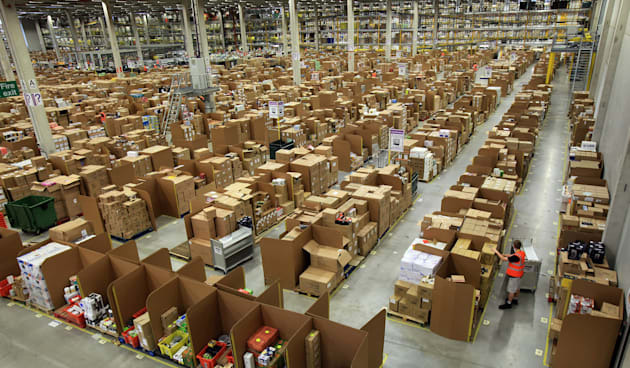 Amazon grinds suppliers to keep its competitive edge, and publishers are no exception. 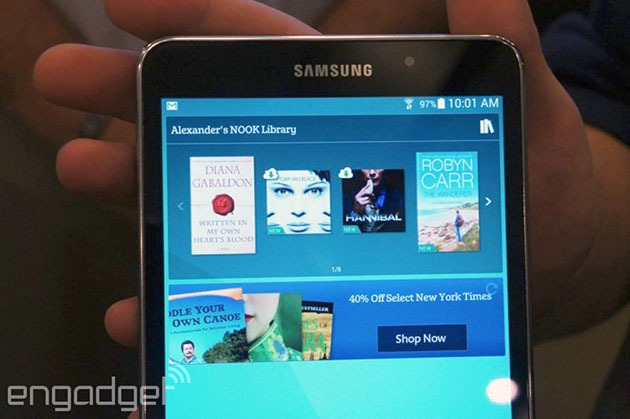 It claims that reduced e-book prices actually result in higher sales and more money for all the players, not less. The online giant further argues that high e-book prices are unjustified since publishers have no printing, returns, resales and warehousing to deal with. 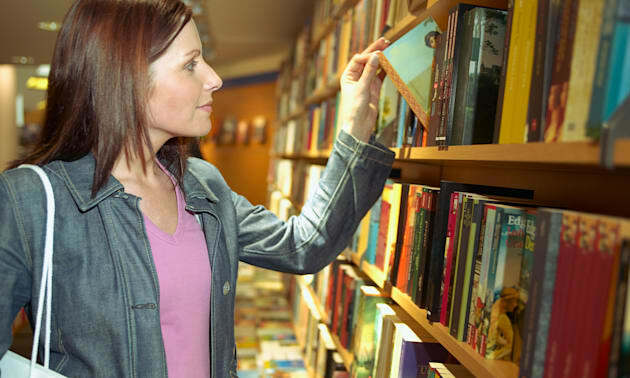 It believes high prices are hurting the book industry, which must compete against video games, movies, television and other rival forms of entertainment. That was where it quoted Orwell, who said in the 1930s that publishers should "suppress" the new menace of paperbacks (he was joking). Meanwhile, Hachette thinks a one-size-fits-all pricing model is unworkable; it wants the ability to set pricing for its own books, both higher and lower than the $10 standard. It said that it would only settle on an agreement that valued the publisher's role in "editing, marketing and distributing" books. As a final dig, it accused Amazon of harming authors with its current actions, and believes it -- not publishers -- should compensate them for losses once the dispute is settled. Amazon has received a lot of bad press of late. Not necessarily because of its negotiating position, but due to its tactics: slowing Hachette sales (see Stephen Colbert's rant, above) is a prime example. Publications like The New Yorker have argued that, despite Amazon's high-road arguments, it only cares about profits, not consumers. Some authors have also sided with Hachette: They say that publishers often lose money developing talented writers until they're finally successful. But one WSJ pundit believes that the publishing industry is dying and that higher prices are the last thing it needs. And Forbes argued that the free market would ultimately decide who wins anyway. But is it a free market? Some antitrust experts think that Amazon is now a monopoly, since it controls about 65 percent of the e-book trade (and 30 percent of printed titles). For instance, author Douglas Preston told the New York Times that his e-book and paperback sales were down around 60 percent since Amazon began slowing Hachette orders. Pundits say such consequences prove that Amazon has an iron grip on retail book sales -- something they believe the DOJ may look into, just as it did with "agency" price-fixing. Assuming you do believe that books are just boilerplate consumer goods, lower prices win every time. Amazon says you'll pay less for books and more money will go into author's pockets if it prevails. And while publishers contribute plenty toward the production of books, it's hard to see why they deserve 60 to 70 percent profits on e-books, which are virtually free to distribute. Amazon, on the other hand, does offer clear consumer benefits like bulletproof customer service, "look inside" previews, millions of titles and deep discounts (in most countries). Amazon arguably deserves its large share of the e-book market too, since it was largely responsible for creating it in the first place with the Kindle. However, let's be clear: Lower prices will make Amazon even more dominant in the e-book market. It could then put more competitors out of business, and we know what happens to companies with few rivals -- take Comcast (please). If you hold the position that books are culturally and socially important, unlike T-shirts and banana slicers, you may feel even more strongly. If publishers lose influence, literature could be ruled primarily by the forces of the economy, reducing the number of interesting or cutting-edge books. Finally, Amazon and Hachette can afford a long fight, but imagine the plight of a newly published Hachette author right now. That's why I'll still use Amazon, but if I need a Hachette title, I'm heading to another retailer -- I hear that Barnes & Noble has a new Nook. Amazon and Hachette's dispute has dominated the tech news, but the New York Times has a nice take on how it's hurting authors. The WSJ has an in-depth argument as to why it supports Amazon, while Forbes thinks the free market will sort things out. The Guardian is neutral, but believes that the battle was overdue and that publishers need to change their business model anyway. Hachette has presented its side of the story here and Amazon has a mini-essay on its Reader's United site. If you're looking for alternatives to Amazon's Kindle ecosystem, Barnes & Noble has the Galaxy Tab 4 Nook, now made by Samsung -- and plenty of Hachette titles. And don't forget Apple, which arguably started the whole thing. It took a dig at Amazon by discounting Hachette pre-orders. Upate: Amazon told us that despite pulling pre-orders and delaying shipments, it never completely removed any Hachette titles. It also clarified that it wasn't a direct party in the DoJ "agency" lawsuit. The article has been updated to reflect that.